If you’ve seen Cars 3 in theaters already, you’ve witnessed all the heartwarming adorableness that is wrapped up in LOU. I’d put money on the new Pixar Short LOU winning some awards, and it’s just one of many reasons to catch Cars 3 in theaters now. 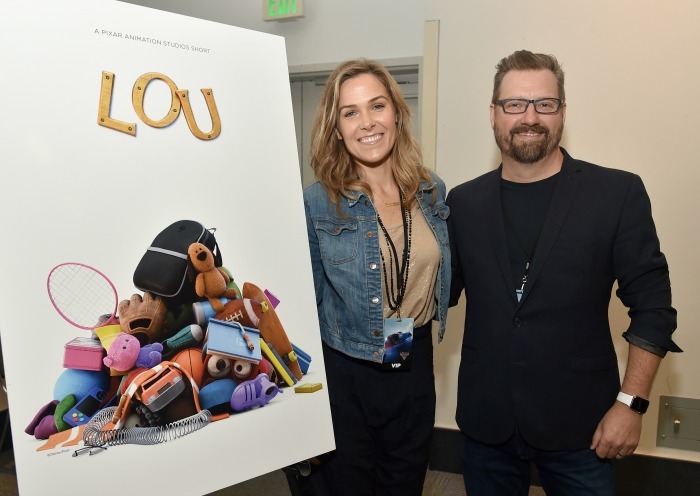 During the #Cars3Event we got the pleasure to attend a panel with LOU Director Dave Mullins and Producer Dana Murray, who took us inside the new Pixar Short, LOU! way: the “Lost and Found” box. L-R LOU Producer Dana Murray and Director Dave Mullins at the “Cars 3” Press Conference at Anaheim Convention Center on June 10, 2017 in Anaheim, California. 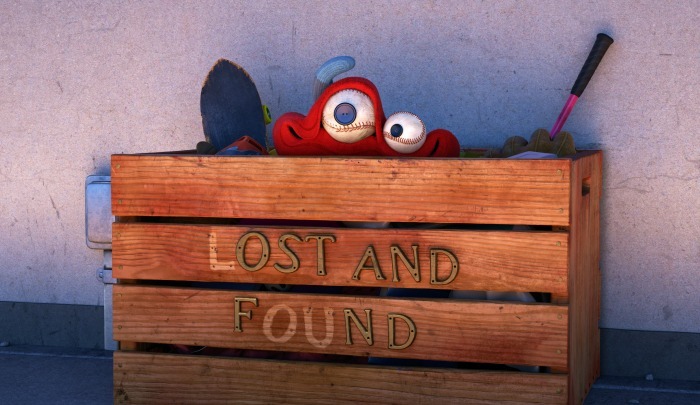 LOU – When a toy stealing bully ruins recess for a playground full of kids, only one thing stands in his way: the “Lost and Found” box. From Pixar Animation Studios, “Lou” opens in theaters on June 16, 2017, in front of “Cars 3.” ©2017 Disney•Pixar. All Rights Reserved. Because LOU is a short film, I don’t want to give too much away. I do want to tell you how special this short is and one that both kids and adults will love. From the second the music begins playing you feel yourself lean towards the screen in anticipation. The music, done by Beck who was the composer on Frozen, is played one note at a time going in a circle. “It’s something you could hum,” said Director Dave Mullins. 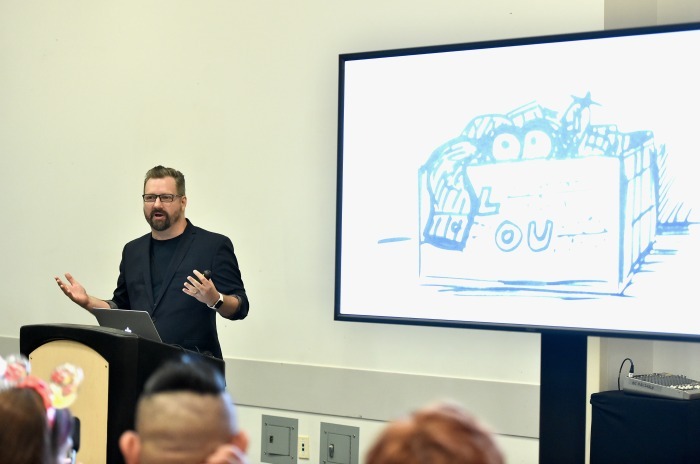 LOU Director Dave Mullins at the “Cars 3” Press Conference at Anaheim Convention Center on June 10, 2017 in Anaheim, California. LOU Producer Dana Murray was excited to work with Mullins on bringing his story to life. She assisted several Pixar Animation Studios films including Finding Nemo, Cars, Ratatouille, Up, Brave, and Inside Out. When they originally began writing LOU, bullying wasn’t part of the story and “it happened along the way“, said LOU Producer Dana Murray. 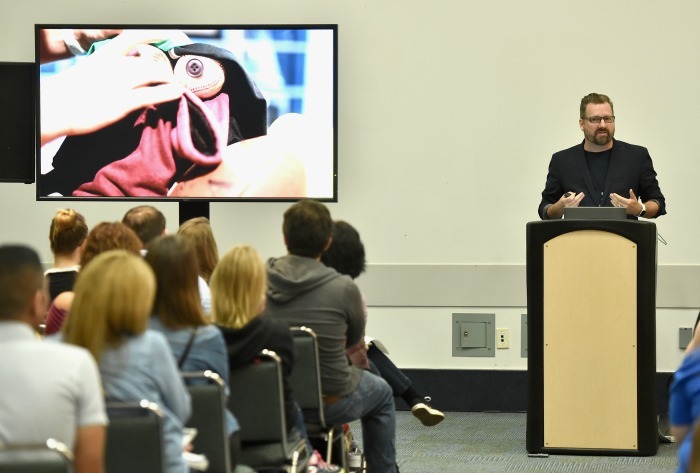 It started out with an “invisible character that hides in plain site”, said Director Dave Mullins. A creature hidden in plain site paired with an outsider who wants to be accepted. That’s magic in the making right there. Once the kid who wants to be liked becomes a bully that steals, the story had the “conflict to give the story heart“, said Mullins. The key to that character was “keeping J.J. a bully as long as possible while warming up to him“, said Murray. One of the unique challenges in making Pixar Short LOU was filling a school yard of kids. That challenge brings us to LOU Fun Facts where you learn how they tackled that hurdled! Kids on the playground in LOU are from Finding Dory and Inside Out. Lost and Found was the original title idea but that was tossed about because of something else coming with that title. Work on LOU was paused for 6 months as the team worked on The Good Dino. Jonah from Crazy Stupid Love was the initial inspiration for J.J.
J.J. is homage to Director Dave Mullins’ mom, whose names is Joyce Jean. A kid from Inside Out was re-purposed for J.J.
You will notice an E.T. reference in LOU. The playground in LOU is based on Director Dave Mullins’ kid’s school park. J.J.’s dog in LOU is just like the childhood dog Director Dave Mullins had as a child. Director Dave Mullins’ dad passed away during filming and you will notice a “dad note” at the end of film. LOU is only red things in the film so he pops because of so many pieces. They picked timeless objects and toys that meant something to kids. At one point during production, Combat Car was among the toys. 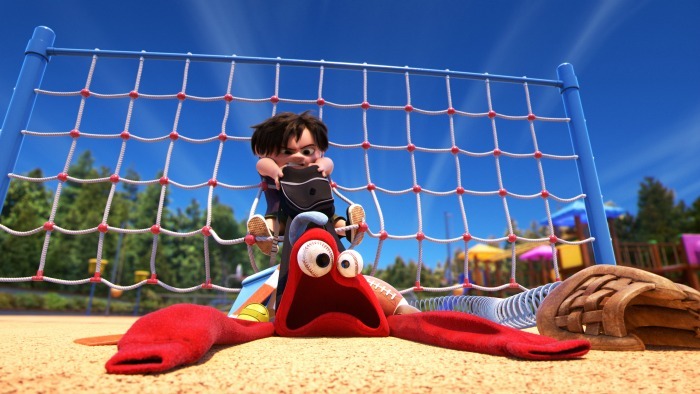 PLAYGROUND SHOWDOWN – A toy-stealing bully finds that he’s met his match in Pixar Animation Studios’ new short “Lou.” Directed by Dave Mullins and produced by Dana Murray, “Lou” opens in U.S. theaters on June 16, 2017, in front of “Cars 3.” ©2017 Disney•Pixar. All Rights Reserved. Dave Mullins and Dana Murray would both love a LOU feature film, and you can add me to that list. I think the story has tons of potential and both J.J. and LOU are totally likable and feature film worthy! Read my spoiler free Cars 3 Review along with the Best Cars 3 Quotes and Catch Cars 3 and LOU in theaters now!